Christopher Castellani, Danielle Legros Georges, Regie Gibson, David Valdes Greenwood, Gish Jen, Henriette Lazaridis, Mira T. Lee, Suzanne Matson, Jill McDonough, Anna Ross, and Adam Stumacher are all among the literary artists participating in the Boston Book Festival at Copley Square in Boston (10/13). Allison Cekala and Mary Bucci McCoy are both exhibiting in Landfall, in collaboration with the Montserrat College of Art and the Rocky Neck Artist Colony. The show takes place at The Cultural Center at Rocky Neck in Gloucester (10/18-11/18, reception 10/20, 4-6 PM). Laura Chasman, Caleb Cole, Stephen DiRado, Evan Morse, and Karl Stevens are among the artists in Likeness at the Schiltkamp Gallery at Clark University. Amy Dryansky, Kirun Kapur, January Gill O’Neil, and Anna V.Q. Ross all participated in a reading/discussion called “May We Carry Our Mothers Forth in Our Bellies: Motherhood in the Arts and in the Public Sphere” at the New Hampshire Poetry Fest in September. Anna V.Q. Ross organized the event. Marti Epstein, Jonathan Bailey Holland, and Scott Wheeler are among the composers with 10-minute operas to be performed at Boston Opera Collaborative’s Opera Bites at Longy School of Music (10/26-10/28). Scott Wheeler composed music to Anna V.Q. Ross’s poem “She Left for Good But Came Back,” which will be performed this month by the Bowers-Fader Duo at the Third Annual New American Art Song Concert at the Tenri Cultural Institute in New York (10/27, 8 PM). Liz Duffy Adam’s play The Salonniéres has its world premiere at the Greater Boston Theater Company (10/25-11/11). The premiere is part of the company’s Don Fulton New Play Project, producing one world premiere play each season. Kim Adrian’s memoir The Twenty-Seventh Letter of the Alphabet will be released by The University of Nebraska Press this month with a launch event at Brookline Booksmith (10/3, 7 PM). Sophia Ainslie was one of the 9 artists selected to paint a suite in the newly refurbished Studio Allston Hotel. She will participate in HUBweek Boston creating a mural at City Hall Plaza as part of HUBweek Walls. She’s in the group exhibitions Drawing Project 2018: Paper Chassis at HallSpace (through 10/13). Susan Bernhard’s debut novel Winter Loon will be published in December. Matt Brackett has a new series of work, Bitter Chill, showing at Alpha Gallery this month (10/5-10/31, opening reception 10/5, 6-8 PM). Paul Endres, Jr. is among the artists in the exhibition Painted Faces at Motherbrook Arts and Community Center in Dedham (thru 10/30). Linda Etcoff is exhibiting work at Clark Gallery in Lincoln (thru 10/13). Andrea Sherrill Evans has a solo exhibition, Invasive, at VisArts’ Common Ground Gallery in Rockville, Maryland (10/19-11/18, reception and artist talk 10/26, 7-9 PM). Samantha Fields is part of ARTcetera 2018 at The Castle at Park Plaza (10/27). She’s also among the artists exhibiting in Interior Effects: Furniture in Contemporary Art at Fitchburg Art Museum (thru 1/13/2019). Christy Georg is exhibiting in the group show The Persistence of History at the New Jersey City University Galleries (10/5-11/27, opening reception 10/17, 5-8 PM). Jane Gillooly’s documentary film Where the Pavement Ends screens at the Institute of Contemporary Art in Boston (10/21, 3 PM). The screening will feature a discussion with filmmakers Jane Gillooly, Khary Saeed Jones, and Aparna Agrawal and curator Abigail Satinsky. Congratulations to Elizabeth Graver, who was selected to be a Fellow at The Newhouse Center for the Humanities at Wellesley College for the 2018/2019 academic year. Carrie Gustafson has a solo exhibition, Visual Rhythm, at Vetri Glass in Seattle (10/4-10/31, opening reception 10/4, 5-8 PM). Mags Harries has a solo exhibition, Drawn to Change, at the Milton Academy Nesto Gallery. Alexis Ivy took part in a poetry reading at HUBweek in Boston, for an Improbable Places Poetry Tour event (10/14, 10 AM). Ann Kim will screen her film Lovesick, co-created with Priya Desai, at San Jose State University (10/20, 2 PM) and United Nations Association Film Festival in San Francisco (10/24, 8 PM). Stefanie Klavens has work in the American Structures photography exhibit at Robert Klein Gallery (thru 10/28). She will also have work included in the New England Showcase edition of The Fence outdoor photography installation. Finally, she had a photograph in the Griffin Museum of Photography’s members Show over the summer. 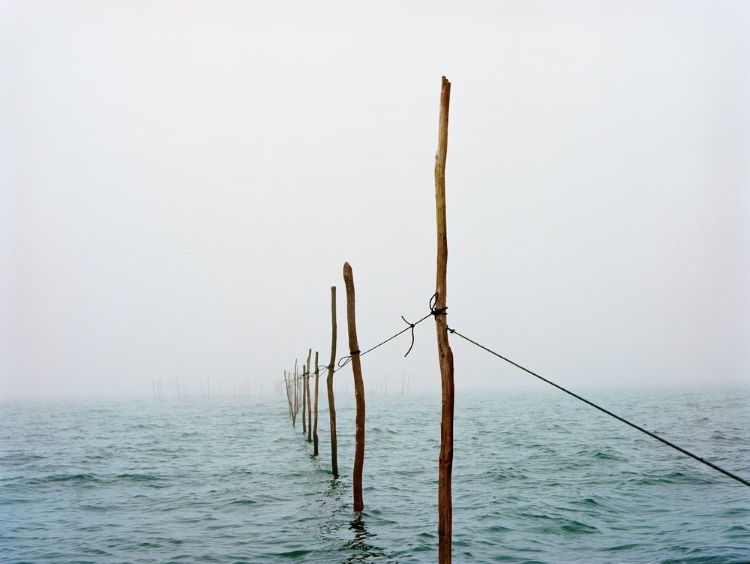 Holly Lynton has photography in the Gaia Foundation’s We Feed the World exhibition at the Bargehouse Gallery in London (10/12-10/21). Julie Mallozzi has numerous screenings of her acclaimed nonfiction film Circle Up, including the Cambridge Public Library (10/30). Brendan Mathews joins Belle Brett and Stephanie Gayle for a Craft on Draft event at Trident Booksellers & Café (10/16, 7 PM). The event, created and managed by alumni of GrubStreet’s Novel Incubator program, is titled “A Writer’s Voice – How to Develop Yours and Your Characters'” and features the writers in discussion. Adam Mazo’s film with Ben Pender-Cudlip, Dawnland, will broadcast on the PBS program Independent Lens (11/5). It has screenings throughout the country this month. Mary Bucci McCoy, along with exhibiting in Landfall at The Cultural Center at Rocky Neck (10/18-11/18), is exhibiting in the three-person show Color Affinities at Key Projects Art Space in Long Island City, NY (10/27-11/11, opening reception 10/27, 2-4 PM). Lisa Olivieri’s documentary film Blindsided will screen at the qFLIX Worcester (New England’s LGBT Festival) at the Historic Hanover Theater (10/13, 1:15 PM). Later this month, the film screens at the Portland Unknown Film Festival (10/19-10/20) in Portland, OR. In March, Blindsided received the Jury Award for Best Documentary from qFLIX/Philadelphia. Monica Raymond will present a short performance piece, Tales of My Uncle, about a man whose apparently conventional life included many transformations, at the New Masculinities Festival at the Gay and Lesbian Center in NYC (10/20, part of Set Three at 7:30 PM). Susan Rivo’s documentary film Left on Pearl has its Los Angeles Premiere at La Femme International Film Festival (10/13, 8 PM). Jo Ann Rothschild is exhibiting in Stand Together: A Violence Transformed Exhibition at the Tufts University Slater Concourse Gallery (thru 11/4, opening reception 10/2, 6-8 PM). Jenine Shereos is among the artists featured/interviewed in One Artist, One Material, which includes fifty-five artists discussing their material of choice. Vaughan Sills has a solo exhibition of photographs, True Poems Flee, at Simmons College Trustman Gallery (10/4-11/9, opening reception 10/18, 5-7 PM, artist talk 10/25, 6 PM). Naoe Suzuki joins Lynda Schlosberg for the two-person show Elemental at 13Forest Gallery in Arlington (thru 11/9). She’s also among the artists exhibiting Crossing Boundaries: Art / /Maps at the Norman B. Leventhal Map & Education Center at the Boston Public Library (thru 4/20/2019). Azadeh Tajpour’s documentary film Gazing through a Lens: ‘Ali Khan Documents 19th-Century Iran will screen at Boston College through The Islamic Civilization and Societies Program (10/3, 6 PM). Joan Wickersham will be the special guest at the premiere event for Tell-All Boston at Middlesex Lounge (10/18, 6:30-9 PM). The literary series was created by alumni of the GrubStreet Memoir Incubator and is co-sponsored by GrubStreet. 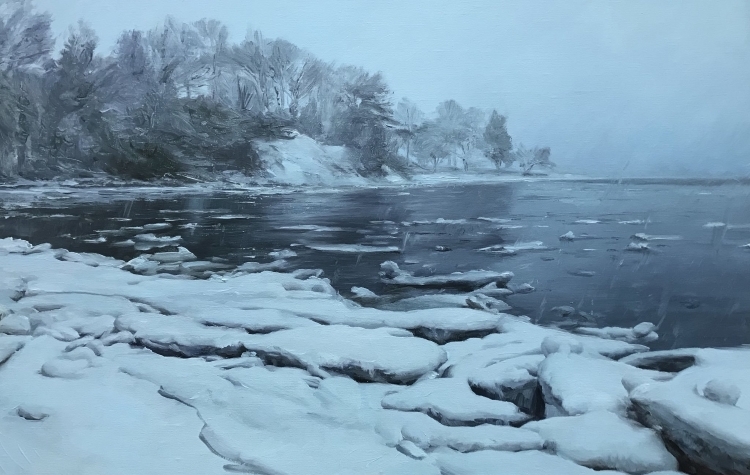 Images: Painting by Matt Brackett (Painting Fellow ’04), from the BITTER CHILL project, exhibiting this month at Alpha Gallery; Holly Lynton, WEIR FISHING, CHATHAM, MASSACHUSETTS, exhibiting this month in the exhibition WE FEED THE WORLD in London.